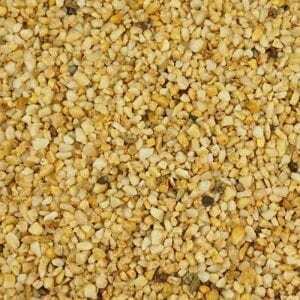 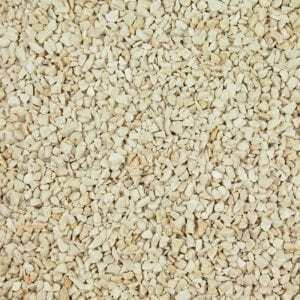 Yellow 10mm is a semi-rounded yellow gravel. 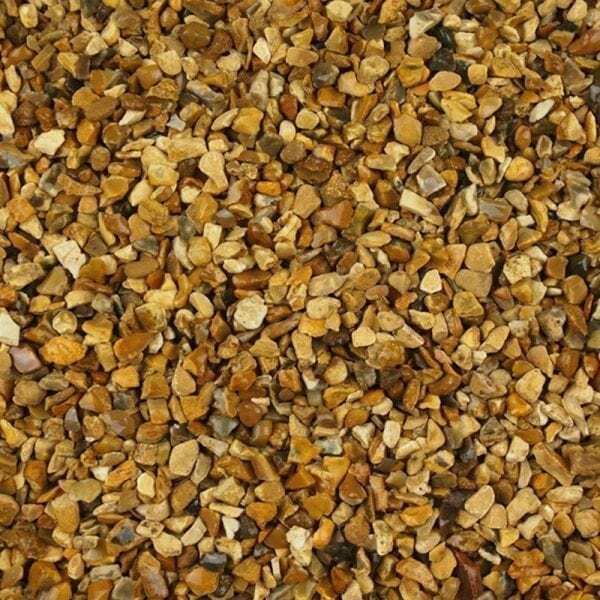 Nice warm golden amber colours giving a nice bright bound finish. 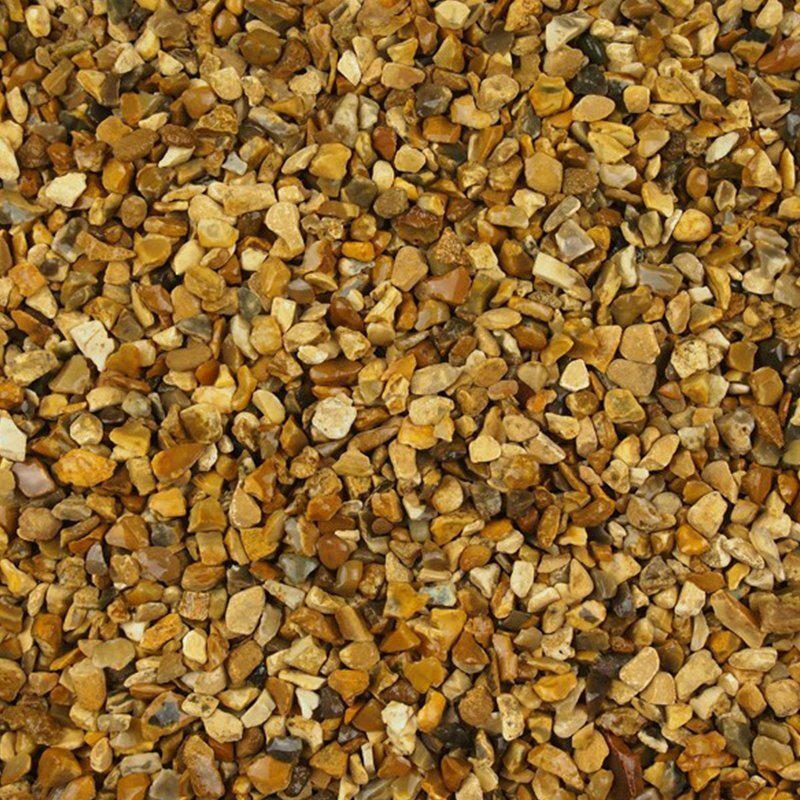 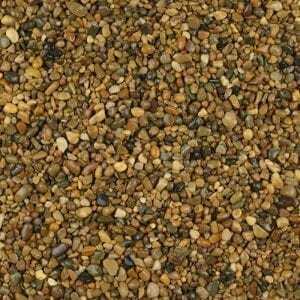 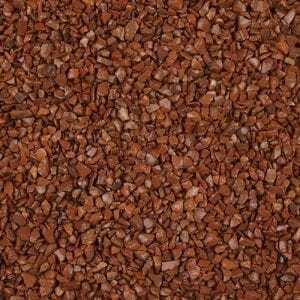 Great for mixing with the 2-5mm yellow in resin bound surfaces.